All of us remember the events of 9/11. Most of us remember what we were doing and where we were when those terrible events occurred. Genelle Guzman-McMillan was literally right in the middle of things. She worked in the North Tower. She was officially the last survivor pulled from the rubble of the Towers. She was rescued 27 hours after it all began. During the time she was trapped she had time to look at her life and where she had been heading and what she hoped to do IF she was found. She was pinned in a small space only able to move one arm. It was during this time when she felt so alone that she reached out to the God she had pushed away so long ago. 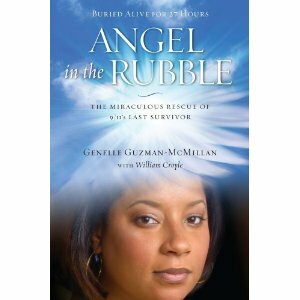 This is not only her story of survival against all the odds, but her story of spiritual renewal. She made promises to God that she is now working to fulfill on a daily basis. This is a must read for anyone who wants to read a 9/11 survival story. It is a definite read for anyone who feels all alone in this world and would like to find their way back to God. It is for anyone who just wants to be inspired. I definitely recommend this book.